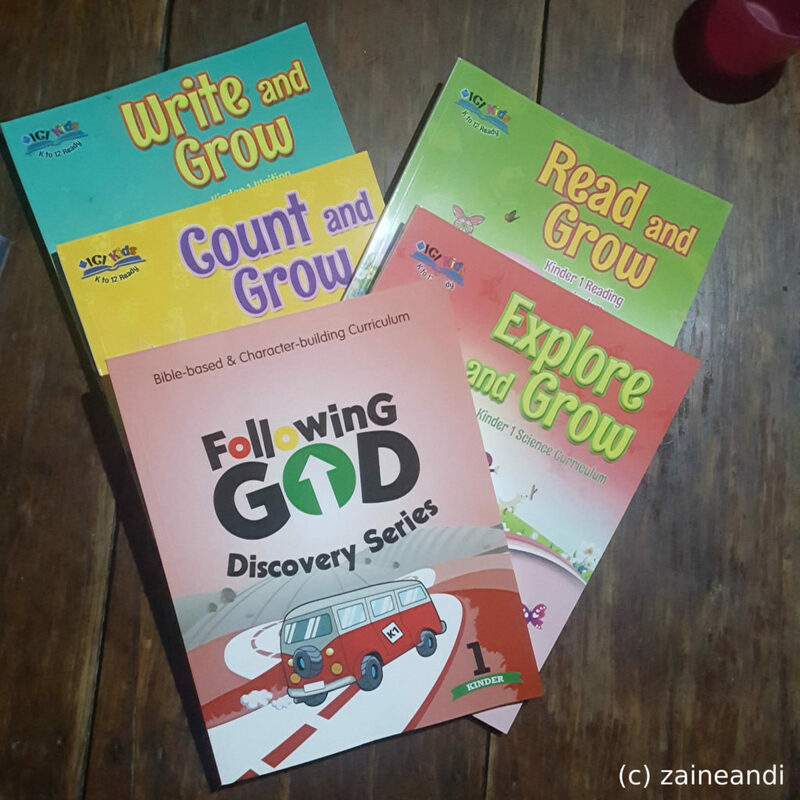 One of my plans this year was to start Z’s homeschooling. However, with the nanny gone, and the little boy having to stay with my family while I work, I have to put homeschooling plans on hold. And so, with the school year opening and the little boy not having anything else to do at home, my mom suggested enrolling Z in the nearby school. I mulled about it for a couple of days and agreed to it. The school is not a SPED school but a mainstream one. I have nothing against SPED, don’t get me wrong. They are doing great work. But I have this belief that if I wanted Z to be treated and accepted by society, then he needs to be amongst typical kids his age. This way, he will be more aware of his environment and typical kids will be more aware of kids like him. 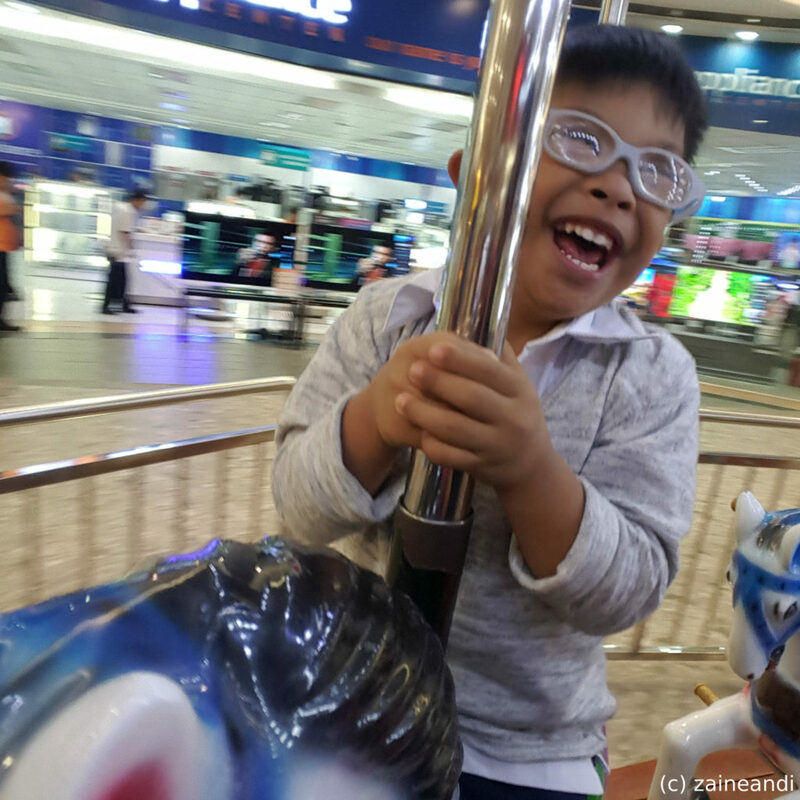 And hopefully, eventually, kids with special needs will be seen as someone not with a disability but with different abilities. And that they also have something to contribute to the community, just like everyone else. So with the decision made, my mom inquired at the school. 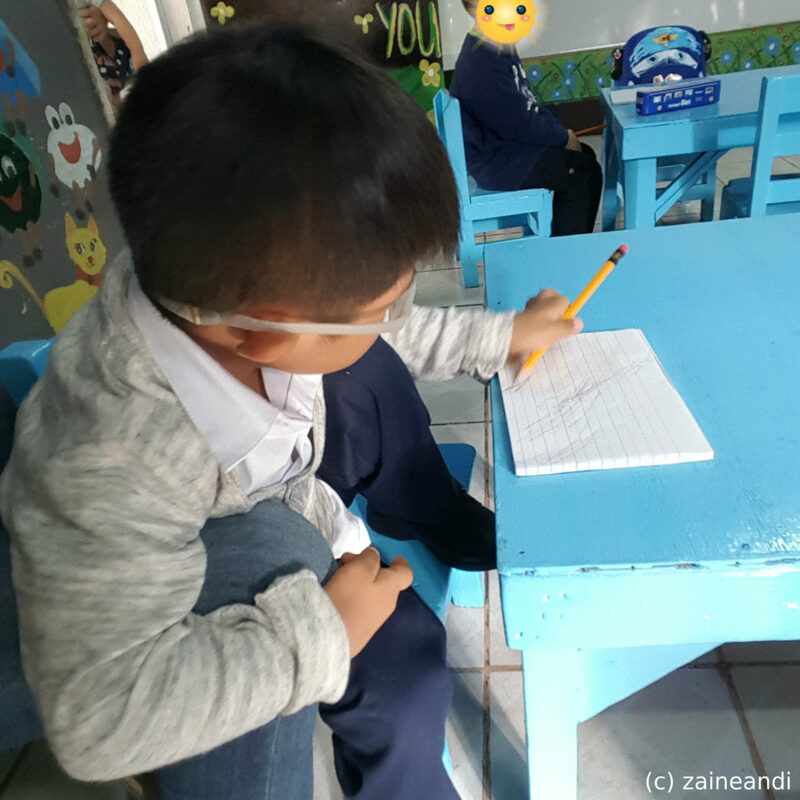 The principal agreed to accept Z as a student and said that it will be a learning experience for them as well since they have no experience in handling children with special needs. It is indeed a good learning opportunity for us and for the school. And so it is official. The little boy is now a preschooler. With the little boy enrolled and registered for this school year as Pre-Kinder (or Kinder 1, I think. All these names are still confusing me), we went shopping for the little boy’s school needs. We bought polo shirts and pants for his uniform, black school shoes, and of course, his school supplies. His school requires long-sleeved polo shirts, too. Most schools in the big metro require short-sleeved white polo shirts and shorts. 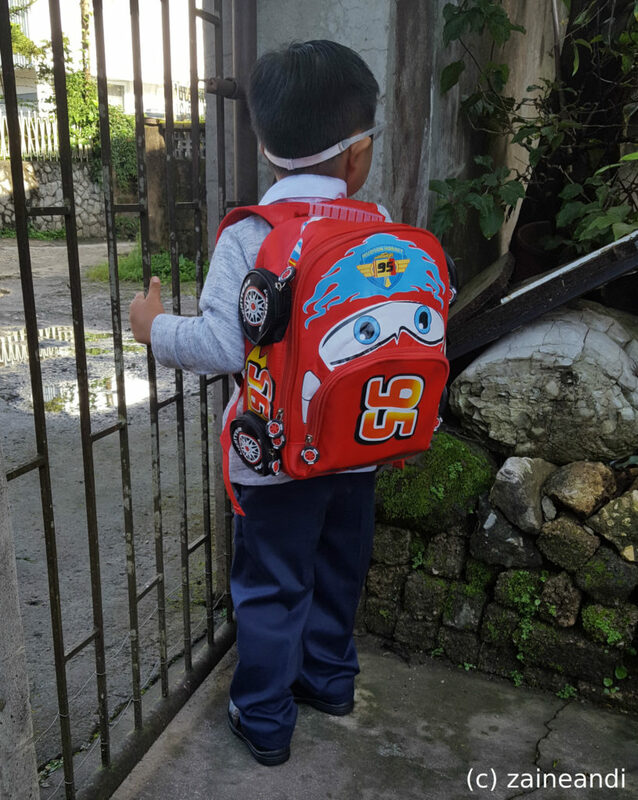 For Z’s school (and I think all schools in Baguio), the requirement is long pants and long-sleeved shirts. We were able to buy the short-sleeved shirts and long pants here in the big metro but for the long-sleeved shirt, we had to buy it back home. 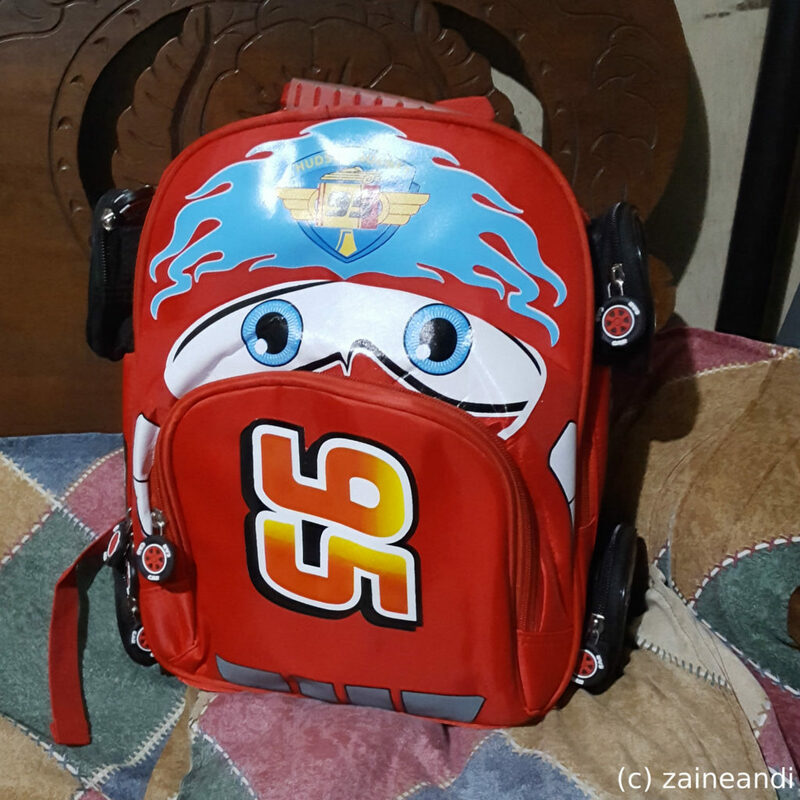 For Z’s school bag, I didn’t like the ones being sold in the malls. All of them look the same, and I find the price a bit expensive. So I turned to Lazada. And I found the perfect bag for the little boy at half the price of the mall sold bags. I had fun shopping, I must admit. I mean, it is shopping. LOL! 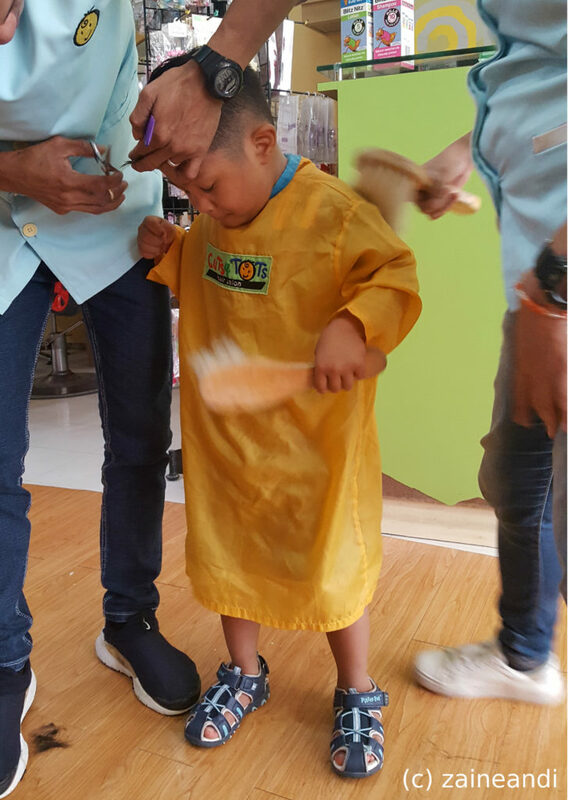 For every start of school year, a haircut is indeed part of the requirement. The weekend before the first day of school, Z and I attended the parents’ orientation. My mom joined us before the session ended and we all visited Z’s soon-to-be classroom. My mom used to teach in that school back in the 90’s so it was a nice surprise that Z’s classroom was my mom’s homeroom all those years ago. 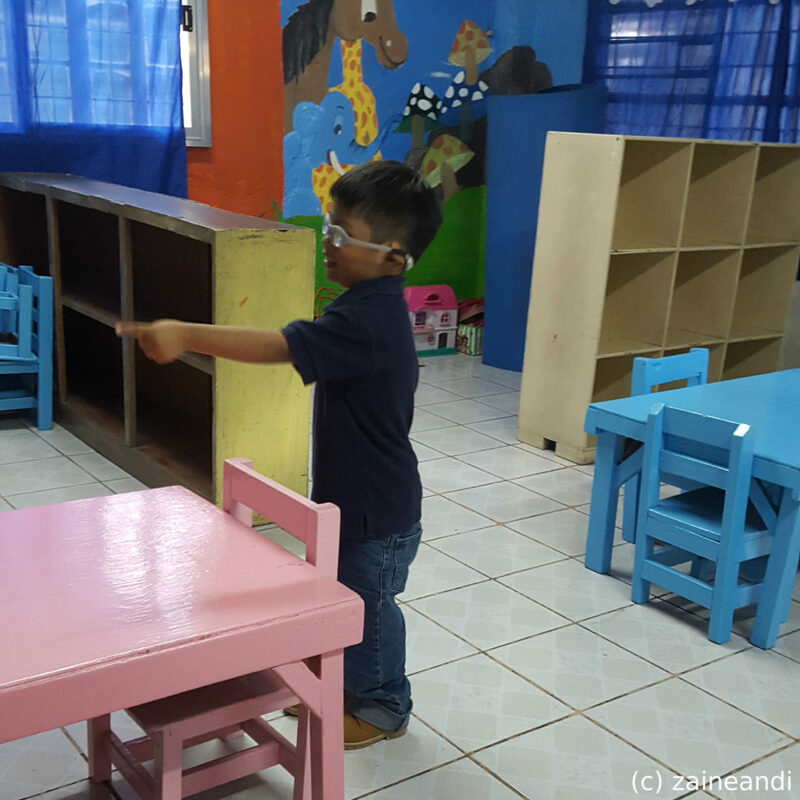 Checking out his classroom and pointing to the letters painted on the wall and reciting them too. School dynamics sure did change a lot from when I was young. Pre-kinder has 5 books. 5 books! Yikes! I don’t remember having books when I was in kindergarten. These are all workbooks by the way. And I had fun covering them all, too. It’s been a long time since I covered books. Oh, not only do they get 5 books. 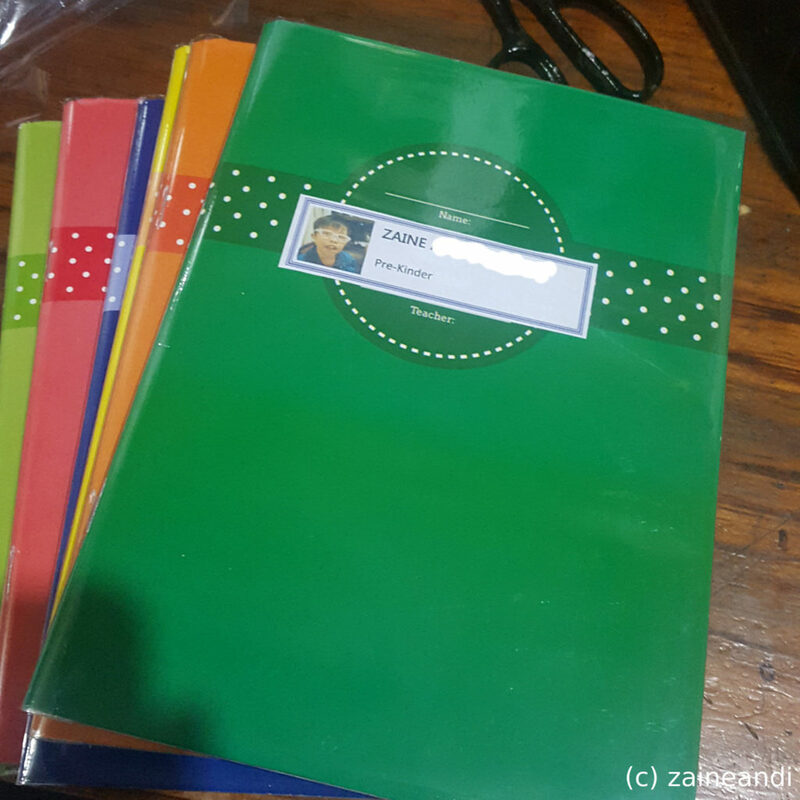 They need 7 notebooks. I actually don’t know what pre-kinder kids would need those for but I was happy to buy. And to cover them all, too. LOL! The night before Z’s first day, I prepared his bag and ironed his uniform. They were not yet really required to wear uniforms for the first few weeks but I was just excited to dress Z in one. He didn’t want to have his photo taken though. Z’s first day of school went well overall. Z is usually an early riser. But on his first day of school, he cuddled up to me and tried to go back to sleep when I woke him up. LOL! He eventually got up though. His schedule is 8AM to 11AM except for Mondays. On Mondays, they have their flag ceremony so his day starts as early as 7:30AM. Since the school was just about a block away from the house, we were there 5 minutes early. Z didn’t participate during the flag ceremony because he just wanted to run around. I had to carry him and stay at the back with all the other parents. As per our agreement with the school, Z will have someone with him at all times inside the classroom. And so I became the parent who gets to stay inside while all other parents stay outside the room. Z behaved the most of the time. He wrote scribbled on several pages of his pad paper, listened half of the story time and went to the toy corner to play. He didn’t even make a fuss when I had to help the teacher pacify one of the students who cried because she wanted his mom. It was definitely a good start.